More people in California have been struck down by measles than in any other state of the US, according to official health data. The state has recorded 28 cases of the highly contagious disease since the beginning of the year. Anyone planning to visit the region is advised to ensure their medical travel insurance is up to date. The last time infection numbers were so high was 2001, when 40 people caught measles over the year, state records show. Officials suggest the infections of at least half of them were a result of travelling to Asia and Europe because of widespread outbreaks and fewer immunisations in both regions. Of the 28 measles-infected people, 22 had either not been vaccinated or "were very likely to lack the vaccine". 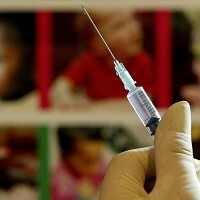 The California Department of Public Health said it recorded just nine cases of measles infection in 2009 and 27 last year.